Hire an Experienced Auto Accident Attorney Pomona, CA. Auto car accidents more often than not, result in fatal injuries. Sometimes, the injuries might be severe and lead to death, but if you are lucky to survive, you will be faced with a painful and uncomfortable recovery process which is succeeded by some physical scars and even trauma. Have you or your loved one been involved in an auto accident? Do not hesitate to hire auto accident attorney. Auto accidents can happen anywhere but if you experienced one in Pomona, you have the right to compensation for the pains or trauma that may have followed. It is recommended that you acquire the services of a reliable auto accident attorney Pomona, CA. Rawa Law Group is a superior 5-star law firm that offers reliable legal services and always at your beck and call to provide the suitable legal representation in Pomona, CA. We have 20 years of experience and boast of some of the most experienced attorneys and a standby team to handle your case. 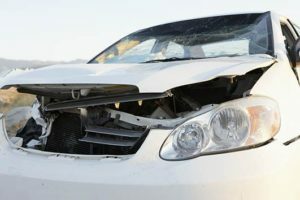 We have successfully delivered on a number of auto accident cases in Pomona by having one of our experienced auto accidents attorneys handle the case. When you hire our accident lawyers at Rawa Law group, absolutely, we do not get paid until we win your case and that means absolutely there will not be any upfront costs to you. Our auto accident attorneys are just a call away – free, no obligation case evaluation. Do not hesitate to take advantage of the free consultation we offer and endeavor to contact us via the details below.